Fight the post-Comic-Con blues with an awesome DOUBLE DOSE of ASPEN excitement! 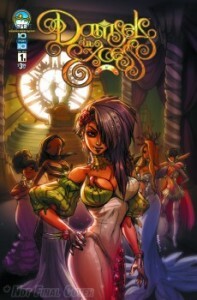 First up, we have the fairy tale romp of DAMSELS IN EXCESS! Meet writer Vince Hernandez! The concept: In the land of the Five Realms, the existence of men has long since been evaporated from the hearts and minds of women. Princess Bethany–ruler of Evanfar, the largest and most prominent kingdom, finds herself at the center of a vast conspiracy that could not only threaten her kingdom—but also her life! Journey to a place where magic is abundant, unicorns and ferrets can command armies, and five women struggle to find balance—and power–in an ever-changing fairy tale world! 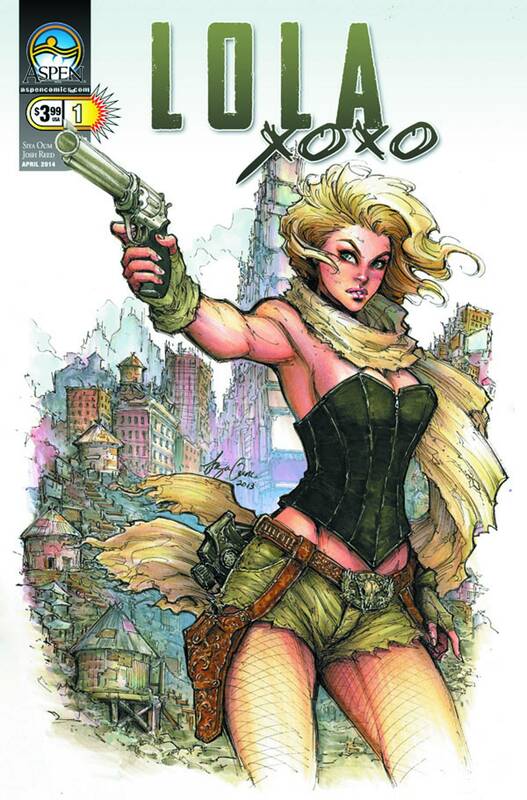 Next, Aspen's runaway smash hit LOLA XOXO-gorgeously illustrated by writer/artist Siya Oum who will be here to meet and sign copies! The concept: In the "Wasteland," Lola, a young woman with a resolve fortified by a lifetime of survival on her own, must journey across the nuclear-decimated United States in order to find the family that was taken from her! As her quest for the truth begins, Lola uncovers the true inhumanity of the Apocalypse, as those who seek to hold power in a new frontier, will do so at all bloody costs -- including her life! SPECIAL OFFER! Buy Damsels in Excess #1 and get a free Lola XO #1. Buy Lola XO #1 and get a free Damsels in Excess #1. OR, buy BOTH and get a FREE HEAD SKETCH from Siya Oum! Stay tuned for announcements on some of the other fine folks at ASPEN COMICS turning up to add to the fun! Don't miss it! !